As you travel through life you were going to quickly discover that there are many terms that are used interchangeably with one another. For example, people often use jealousy and envy in the exact same way, despite the fact that there is a difference between the two. In one case the person is jealous of something they don’t have, while on the other hand a person can be envious of somebody even though they already have that object or position that the other person has. It may be a subtle difference but it is a significant one. The same is true of the way that people use the terms venomous and poisonous. A lot of people will talk about a snake being poisonous when they actually mean that it is venomous, and vice versa. This may seem like it is no big deal at all, but the truth of the matter is that there is a significant difference between the two and this helps you to be able to understand the necessary precautions you need to take should you be bitten by a snake. It’s important to understand what is the difference between a venomous snake versus a poisonous snake. What makes these two kinds of snakes different is the location of where the poison is held within the snake and how it is released as a result. This is why the term venom makes such a significant difference in relation to the kind of snake that you are talking about. One a person gets a poison from a snake it is absorbed into the lining of their skin, thus gaining access into the bloodstream where it is distributed throughout the body. This can be quite tragic to the organism that has been afflicted by the poison because it can affect such systems as the circulatory and respiratory systems. This can stop a heart from beating, it can cause the lungs to become paralyzed, or it can constrict vessels so that blood is unable to flow. In the poisonous snake, for a person to get the poison inside of them they must in just the snake itself. This will cause the person or other animal to become ill, and may even lead to death in many instances. The most common way that people are poisoned by a snake is when they eat it for food. If they have not cooked it properly or removed the poison from the snake it can cause them to become sick during ingestion and they can easily die from it. Understanding this means that the snake does not somehow inflict its poison into you or any other organism. This is not true with this kind of snake. This is the most common snake that people are familiar with in terms of their fear of being poisoned and dying. The venomous snake will bite you, thus injecting its poison into you or any other organism, so that it’s venom is spread throughout the organism’s body. There are four different kinds of venom that can be injected into another organism. The two most common kinds are neurotoxins, which affect the nervous system, thus often leading to paralysis, and cardiotoxins, which affect the heart and stop it from beating. In either one of these cases the injection of this kind of venom into an organism will most assuredly lead to death. The other two kinds of toxins are cytotoxins and hemotoxins which affect blood and cells within the body. 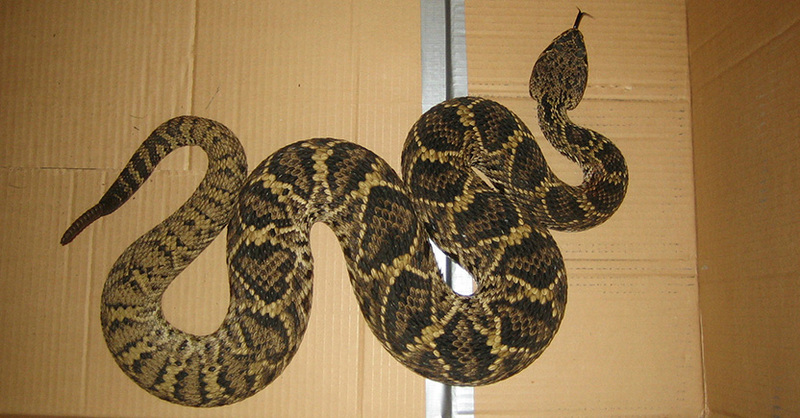 The effects of these kinds of venoms can be different depending on the size of the organism that is bitten.